Brendan Clarke; Conor McCormack, Seán Hoare, Kenny Browne, Ian Bermingham; Conan Byrne (Cyril Guedje, 86), James Chambers, Greg Bolger, Killian Brennan, Chris Forrester (Aaron Greene, 84); Christy Fagan (Ciaran Kilduff, 74). Stephen McGuinness; Michael Barker, Alan McNally, Daniel O’Reilly, Jack Memery; David Sculy (Hugh Douglas, 68), Luke Gallagher, Ryan McEvoy, Graham Kelly, Peter McGlynn (EmekaOnwubiko, 88); Chris Lyons (Gareth McDonagh, 76). 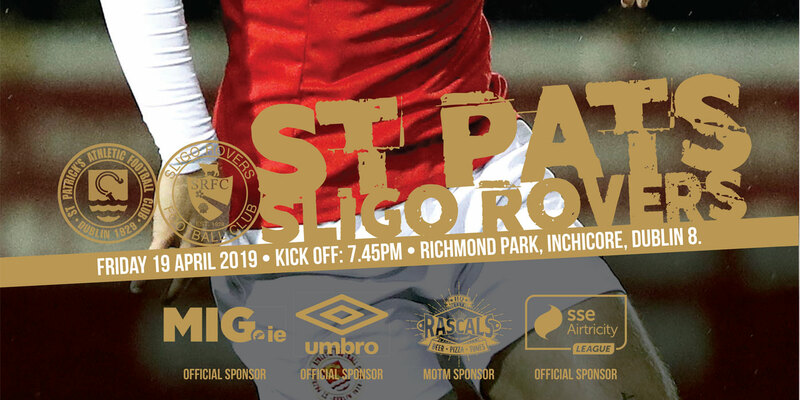 St Patrick's Athletic registered their first win of the season as they comfortably defeated Bray Wanderers in their SSE Airtricity League Premier Division encounter in Richmond Park. 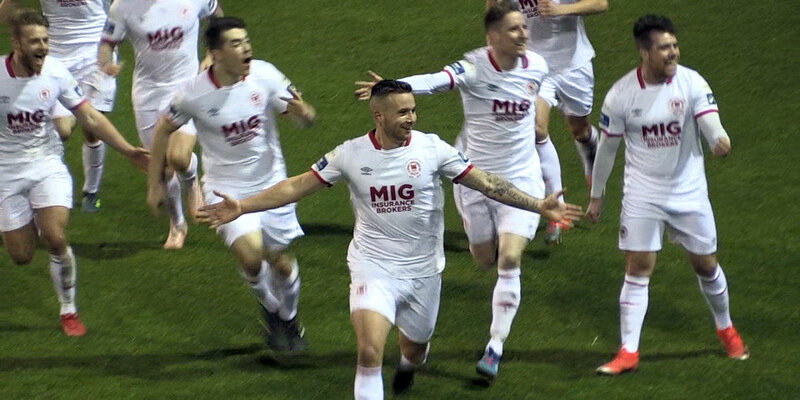 Killian Brennan opened the scoring when converting a fourth- minute penalty and that lead was increased a minute later with Chris Forrester firing home from 18 yards. The victory was secured in the 60th minute as Christy Fagan slid home a James Chambers cross and the Saints eased home in the final quarter with debutant Ciarán Kilduff going close twice late on. After the disappointment of last week's reverse at local rivals Shamrock Rovers, the hosts looked to atone for that defeat and they received the perfect start when David McNally was adjudged to have tripped Greg Bolger inside the area. The resultant penalty was confidently despatched by Brennan, low and hard to the left-hand side of Stephen McGuinness in the Bray goal. Bolger's incision down the inside left channel was not heeded by the visitors and a minute later their deficit doubled as a storming run by Ian Bermingham culminated in Forrester arrowing a low drive home from the edge of the area. In an action-filled opening ten minutes, Bray should have trimmed their arrears as some needless over-elaboration from goalkeeper Brendan Clarke handed Chris Lyons a glorious opportunity in front of goal but his stabbed effort from eight yards lacked precision and rolled narrowly wide. Despite that miss, Wanderers were encouraged by the defensive shakiness of the hosts and an excellent team move three minutes later ended in Ryan McEvoy shooting tamely wide from 14 yards. However, their own defensive inadequacies were being tested repeatedly, with Michael Barker experiencing a horrid time at right-full and James Chambers should have increased Athletic's lead in the 18th minute but his low shot inched wide after Christy Fagan's initial attempt was blocked. Chambers had an opportunity to atone for that miss two minutes later but, after controlling Bermingham's low cross, his shot on the turn lacked sufficient precision to trouble McGuinness. The chances continued to come for the hosts and a criminally unmarked Forrester was given ample opportunity to influence the tie with his 29th minute volley arcing narrowly over McGuinness' crossbar. The half continued in a similar vein until the interval with finally some action from the hosts' right wing as both Conor McCormack and Conan Byrne went close to extending their side's advantage. 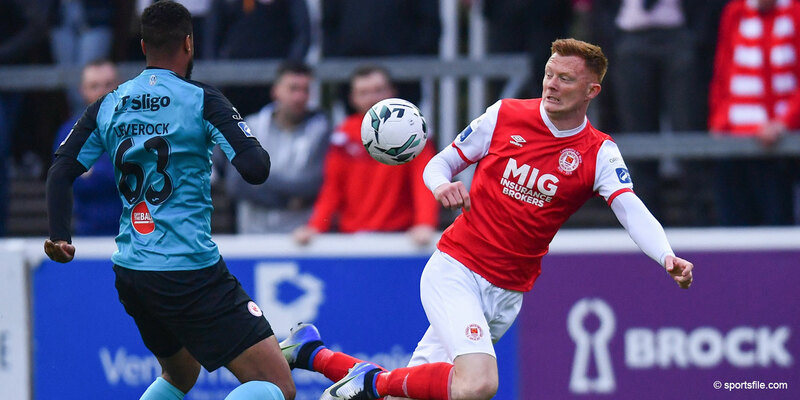 It proved a slightly less dramatic resumption to affairs with the hosts lacking the urgency of their first-half blitz but Brennan tested McGuinness with a free-kick from thirty yards after 51 minutes. With Bray reluctant to throw too many bodies forward and the hosts happy to preserve their advantage, a degree of stalemate ensued with the entertainment on offer suffering as a consequence. However, a moment of class on the hour mark effectively settled the issue as Brennan cleverly found Chambers in the inside-right channel and his low cross was seized upon by Fagan six yards from goal. Fagan should have doubled his tally five minutes later as Byrne's through ball saw the striker bearing down on McGuinness but his chipped attempt lobbed apologetically into the keeper's arms. Fagan was replaced by Ciarán Kilduff for the closing 15 minutes and the league debutant could have marked the occasion when going close on two occasions. Those misses proved inconsequential by the final whistle as St Pat's cruised to victory, a much-needed tonic after last week's defeat.